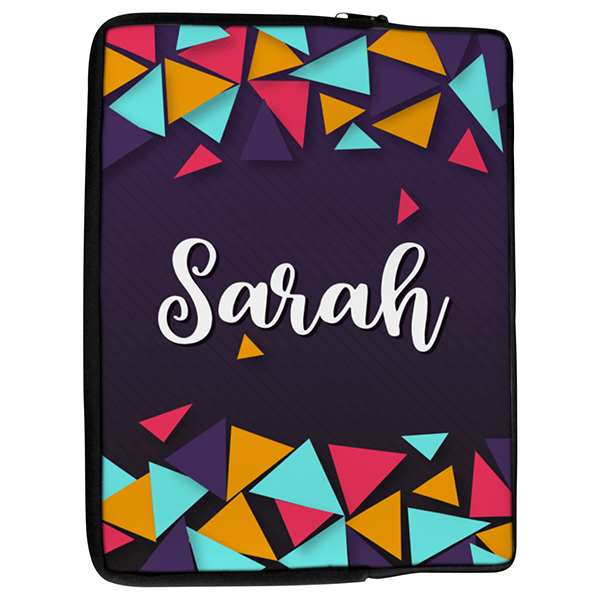 A quirky cascade of gold, turquoise, purple and magenta triangles of various sizes adorn this purple funky triangles laptop case. Personalize it with your name in a funky script font too! A quirky cascade of gold, turquoise, purple and magenta triangles of various sizes adorn this purple funky triangles laptop case. Personalize it with your name in a funky script font too! Our cases measure approximately 14.2" x 10.8" so it fits many types and sizes of laptop. Items are made in the USA.